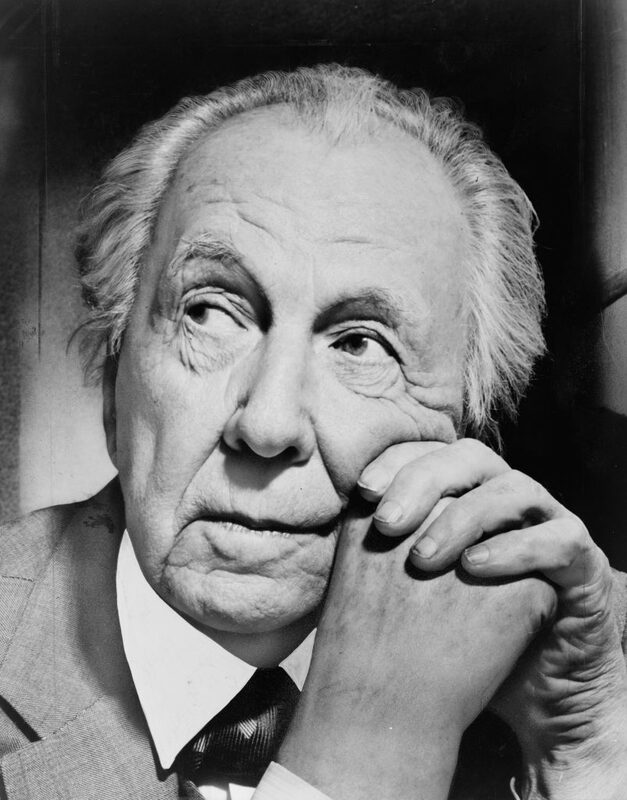 During the 1950s, the last decade of his life, legendary American architect Frank Lloyd Wright (1867-1959) was cantankerous and dismissive of Sydney’s two greatest icons: the Sydney Harbour Bridge (opened in 1932) and Jørn Utzon’s 1957 design for the Sydney Opera House. In 1954, Wright was visited in New York by a reporter for The Sun-Herald, looking for his opinions of the Sydney Harbour Bridge. It was then our city’s only great landmark and it still dominates north-east outlooks from Walsh Bay. Wright described John Bradfield’s bridge as ‘monstrous … outdated, set down on its site like a box … it in no way harmonises with or enhances its terrain’. 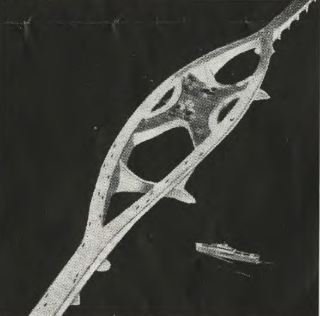 The Sun-Herald published an alternative bridge idea that Wright had designed earlier—including a central garden separating lanes for vehicles travelling in both directions. Here it is, as published by Melbourne architect-critic Robin Boyd in the January 1954 edition of his Cross-Section newsletter. A garden separates traffic in this bridge design by Frank Lloyd Wright. In 1957, Wright was asked for his opinions of Jørn Utzon’s competition-winning design for the Sydney Opera House. He described it as ‘a circus tent’ and ‘an inorganic fantasy’.